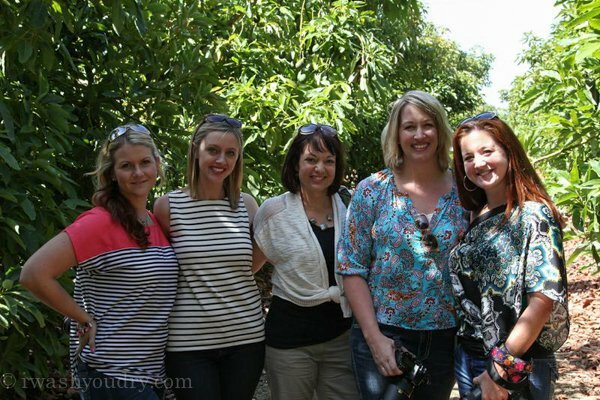 Last month I had the opportunity to travel to sunny California with my fellow California Avocado Ambassadors. There we learned all about the beautiful green fruit; from the orchard, to the packing plant, and right to your table. It was a fantastic trip, and I’d love to share with you a little bit of what I learned. 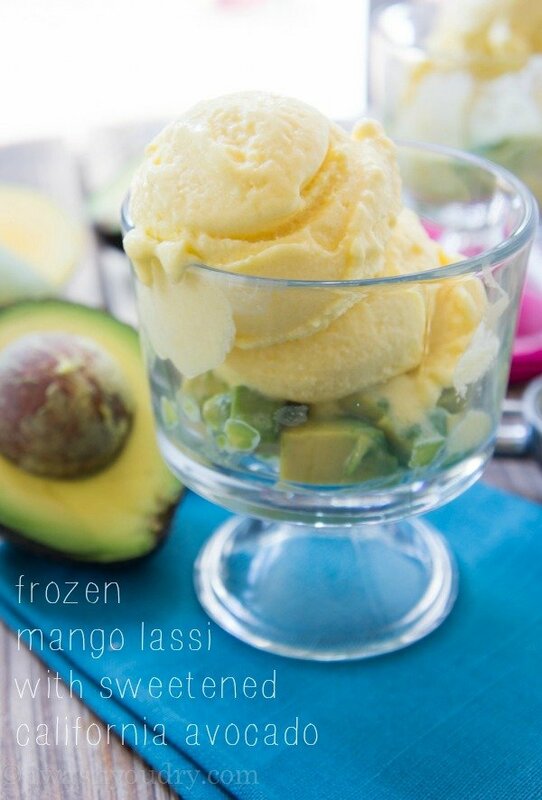 But first… let me address this Frozen Mango Lassi with sweetened California Avocados. 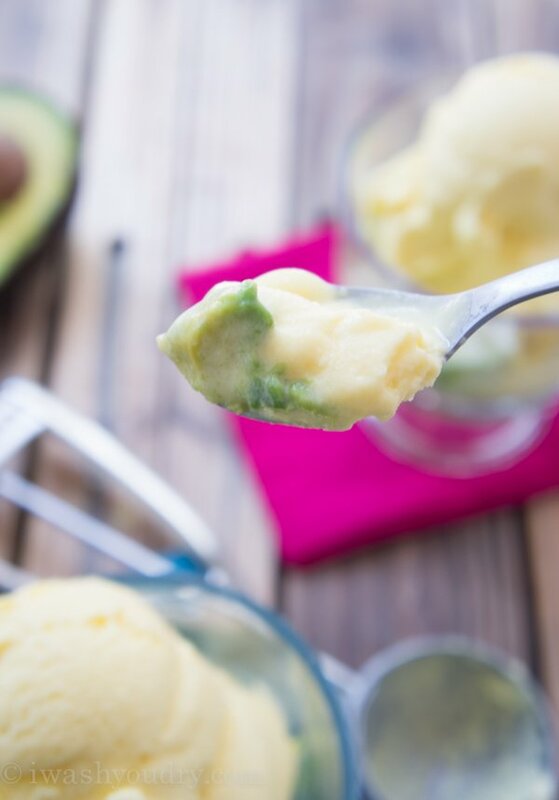 I know it can be difficult to wrap your head around the idea of having avocados in a dessert form, but just think of the avocado as a creamy element with added health benefits. A few months ago my friend took me to an authentic Indian restaurant where she raved about this drink called a Mango Lassi. I had never heard of this beverage, but couldn’t resist ordering one when she described it to me. It’s a refreshing, slightly sweet, creamy yogurt based drink that is filled with ripe mangos. 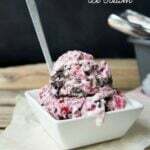 It’s blended with ice to give it a smoothie/milkshake consistency and once placed on your table, is quickly slurped down. So when I was in California, being wined and dined at Industrial with all things California Avocados, and this delicious Frozen Mango Lassi concoction was placed before me, I knew instantly fate was playing it’s card and I needed to recreate this recipe for the masses. I don’t think I’ve ever experienced so many variations of how to eat an avocado in one weekend in my whole life. So back to the avocados – When we were in California we had the opportunity to see where it all starts. In the groves. 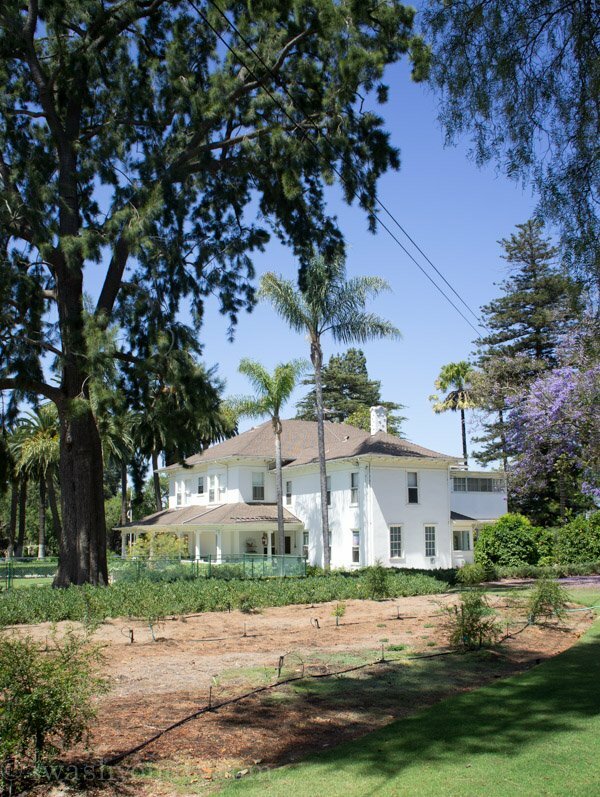 Acres upon acres of beautiful, lush, green orchards. Avocados as far as the eye can see. We were on Jim Lloyd Butler’s grove. 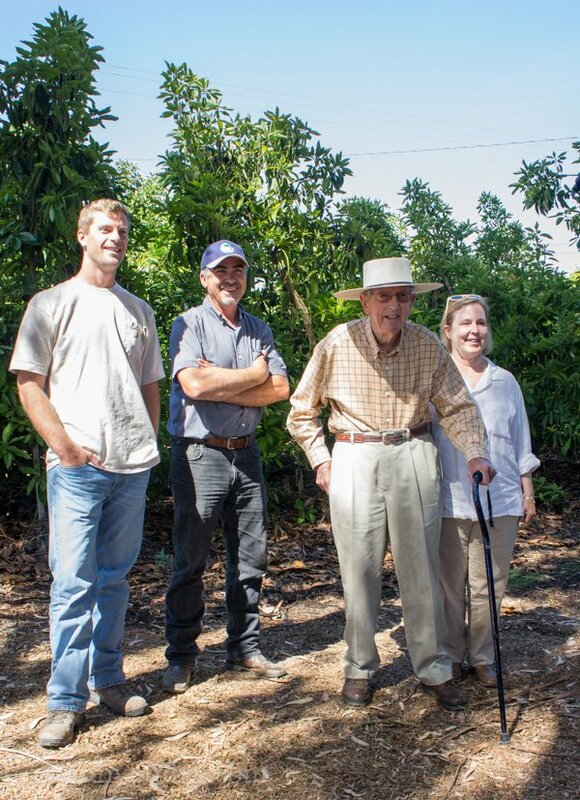 He is a 5th generation avocado farmer and just the nicest man you could ever meet. He has a great team behind him to help run the farm, from making sure the trees are watered properly, to harvesting the avocados at the perfect time. Avocados are a unique fruit that only ripen once picked from the tree. 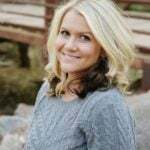 This gives the farmer an advantage in making sure there is enough supply for the demand of busy holiday seasons like the 4th of July, and Labor Day. This past 4th of July, 96.4 million pounds of avocados were consumed! That’s a whole lotta avocado! 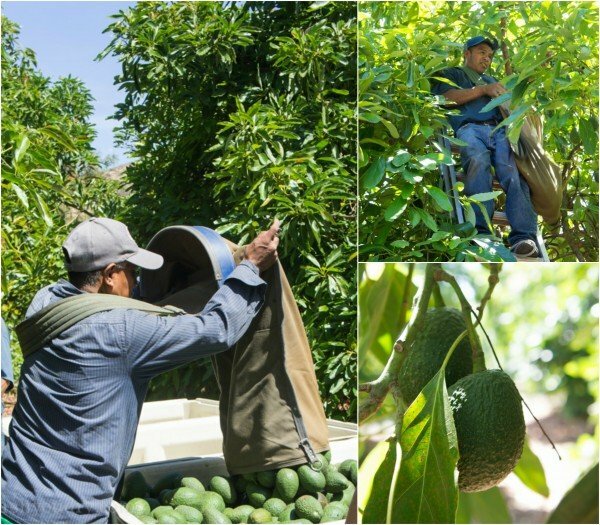 On Jim’s farm, the avocados are picked by hand. The workers quickly scale tall ladders to reach the tops of the trees then pluck the avocados and place them in their satchels. The bags can hold up to 100 pounds of avocados before they dump them into large bins. Once they are collected, the bins are quickly taken to a packing plant where they are cleaned, sorted, packaged, then shipped off to stores. 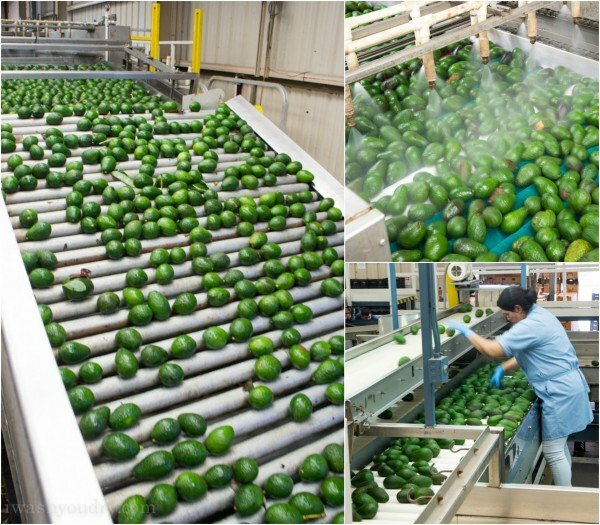 We watched the avocados arrive, still warm from the orchards, as they were bustled up a conveyer belt, given a shower, and then once again given special attention to make sure only the very best made it to the consumer. It was an amazing thing to experience. I love being able to see the care and attention that goes into the production of the goods we eat on a daily basis. You can definitely see the pride that these California growers and packers take into producing only the very best for us. 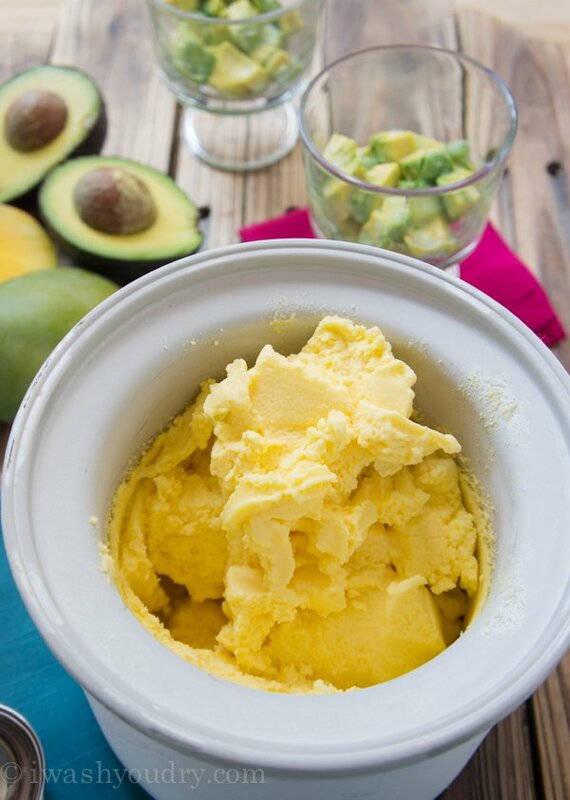 I’m so proud to be a California Avocado Ambassador, and to bring you fun and creative ways to eat the creamy, green fruit is something that I truly love and enjoy. 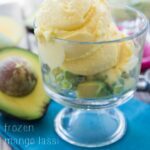 This Frozen Mango Lassi with sweetened California Avocado is a great way to cool down and enjoy a sweet treat without feeling terribly guilty about it. Since the mango lassi consists of yogurt and coconut milk, it’s lower in calories and fat than your typical ice cream treat. 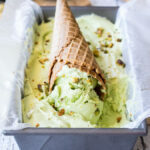 The addition of the creamy California Avocados on the bottom gives it an added creaminess and fun twist. A traditional Mango Lassi is served as a drink, but I poured my Mango Lassi into my ice cream maker and made it a frozen yogurt treat. Much better if you ask me! 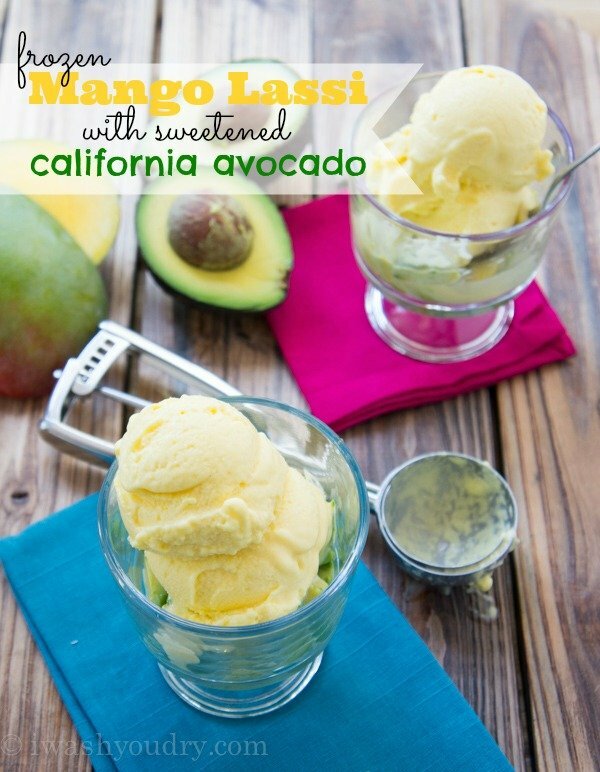 Once the Mango Lassi was a soft serve consistency I scooped it directly on top of the sweetened California Avocado chunks. 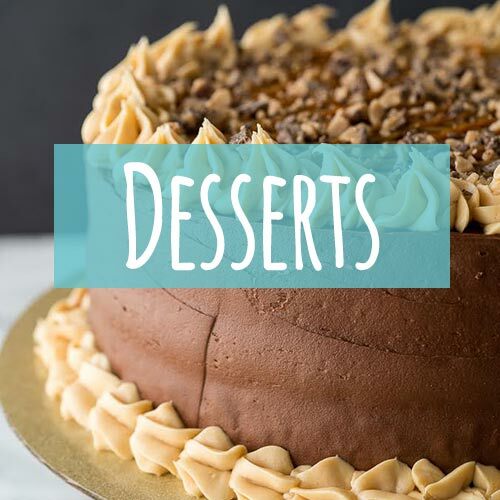 Grab a spoon and dig in, cause it’s delicious! I hope you’re inspired to create some of your own California Avocado creations too. Be sure to check out my fellow ambassador’s recaps and see what inspired them on our trip to California! 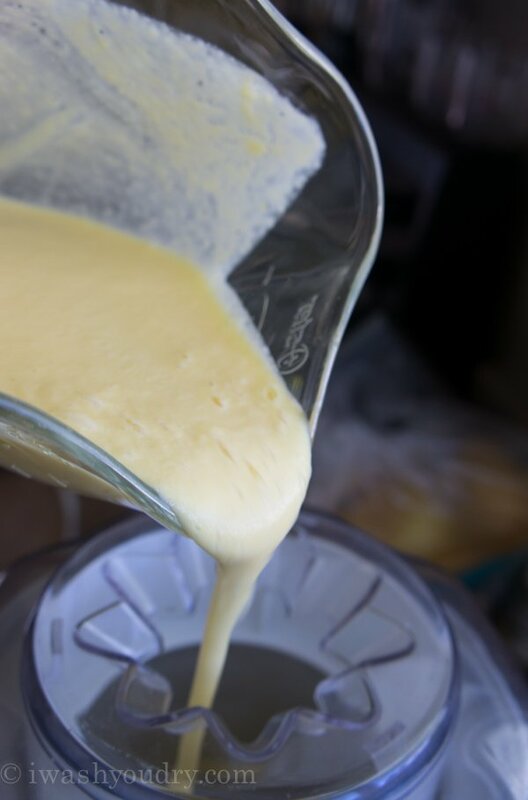 Mango Lassi consists of yogurt and coconut milk, it’s lower in calories and fat than your typical ice cream treat. 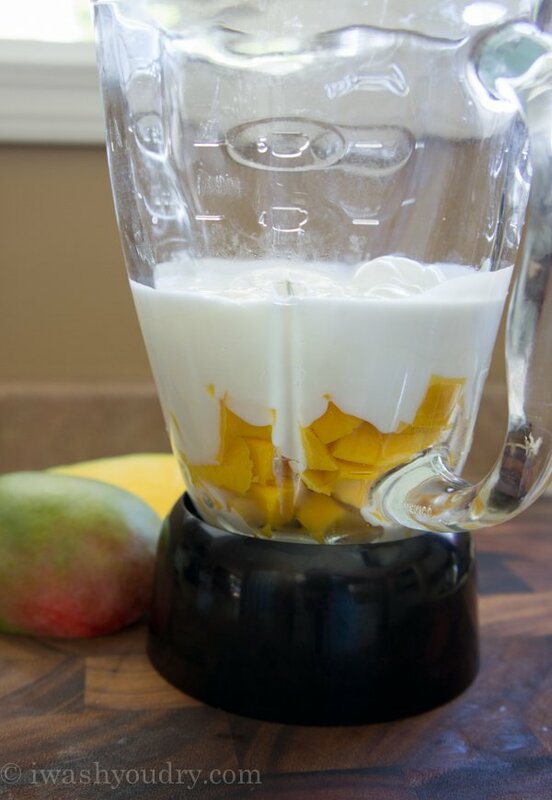 In a blender combine: mango, yogurt, coconut milk, sugar, salt, cardamom, and ice. Blend for 2 minutes. 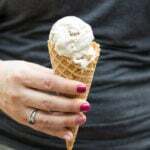 Pour into your ice cream maker, and let churn for 20-25 minutes or until soft serve consistency. 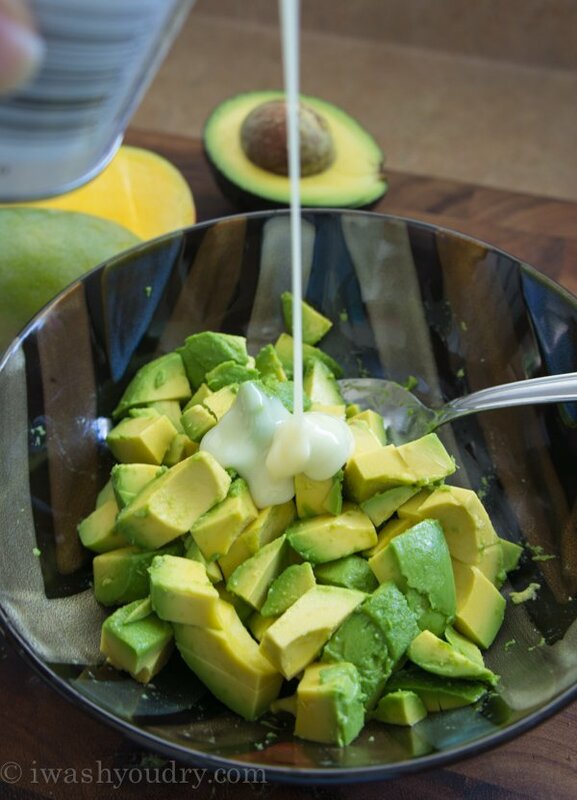 Meanwhile, place the diced California avocado in a bowl and drizzle with the sweetened condensed milk. Gently toss and place in fridge until ready to use. To serve place 1/3 cup of avocado mixture in the bottom of a bowl or glass. Top with a scoop or two of the frozen mango lassi. Enjoy! disclaimer: This trip was paid for by the lovely folks at the California Avocado Commission. All thoughts and opinions are my own. Much thanks! This a astounding site. I love avocados! And this is quite an interesting recipe…sounds so refreshing and delish! 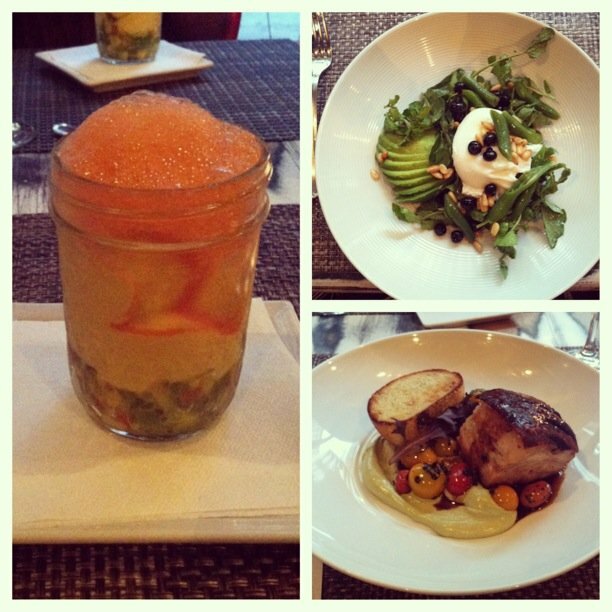 That lassi at Industriel was such a memorable dessert and I love the look of your version. It was such fun to spend the time with you in California! What a great recap post! And this mango lassi? Yes please! It was such a fun time with you! 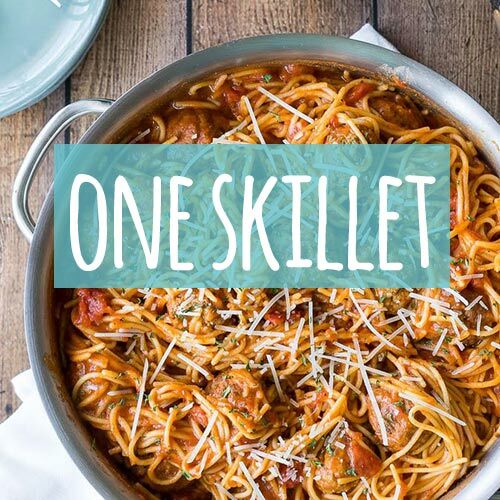 Love what you did with this recipe! Yum! Looks fantastic, Shawn! I love the twist you put on this recipe!! !